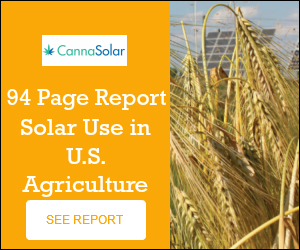 As explored in Part One of this series, the cannabis industry is, and continues to be, the most energy-intensive agricultural sector, as well as one of the most energy-intensive businesses per square foot. Production and distribution cost of the cannabis industry in the United States is approximately $6 billion a year, resulting in the emissions of 15 million metric tons of greenhouse gases, the equivalent of 3 million cars. From a consumer standpoint, the energy expenditure of producing a single cannabis cigarette is comparable to burning a 100-watt light bulb for 25 hours. It is feared that the cannabis industry could wipe out the gains made over the past decade to stabilize energy consumption, as it is clear that the industry has no intention of slowing expansion. Greenhouse gasses are a group of compounds that trap heat in the atmosphere, thus causing the Earth’s surface to be warmer than it would be if not present. Known as the greenhouse effect, the presence of these compounds is considered to be a cause of climate change and global warming. Greenhouse gasses, the most common being CO2, can enter the atmosphere through both natural and human activities. Natural activities, such as plant and animal respiration, are not comparable to the amount of CO2 released by human activities. Countless human activities produce CO2 emissions (intensive livestock farming, industrial process), but the most significant contributor is fossil fuel combustion for energy supply. Within the cannabis industry, the paramount environmental concern is with the energy expenditure of, thus CO2 emissions created by, indoor productions. 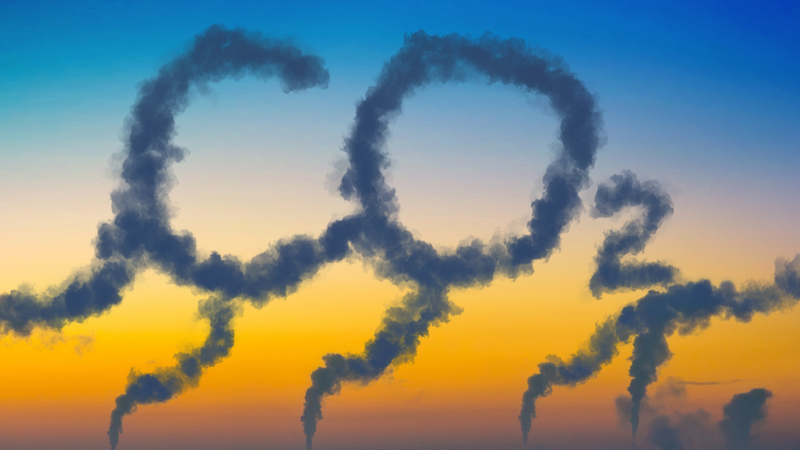 The nation is achieving progress towards climate change solutions, yet state and federal policymakers are making little to no effort to hold indoor cannabis operations accountable for their CO2 contributions. Policies and programs that improve energy- efficiency pass over the cannabis industry, as well as do any appropriate ratings for cultivating within specific energy-efficiency standards (LEED, ENERGY STAR). Currently, the Executive Office of Energy and Environmental Affairs in Massachusetts is taking a proactive stance against the carbon footprint that the cannabis industry could potentially create. They are recommending energy provisions for cannabis cultivators in regards to such areas as lighting, heating, and AC. The goal is for these recommendations to become requirements to obtain a cultivator license. Although most states have missed the opportunity to set impactful energy guidelines for the cannabis industry, some cultivators are taking measures into their own hands to reduce their carbon footprint. By upgrading to energy-efficient lights, pumps and cooling systems, growers are proactively decreasing their carbon footprint. Microgrids should also soon start appearing across the industry. Microgrids, which use solar, sored and combined heat and power (CHP), will also reduce a cultivator’s carbon footprint as well as slash energy costs by as much as 20 to 25%. Other forward-thinking companies are depending on solar and wind-powered energy for their grows. Power companies that receive any federal subsidies are reluctant to provide rebates and incentives to the industry, which is still illegal under federal law. Because of this, cultivators often make these energy-efficient upgrades to obtain some third-party certification, such as Clean Green. Available in multiple states, Clean Green has modeled its program after existing national and international standards. Can The Problem Be Solved Through Legalization? As the industry is still in its infancy stage, the energy consumption and carbon footprint of the cannabis is expected to continue to grow over the next several years, while more efficient and green technologies are discovered and implemented. Many tend to believe that one way to reduce the overall energy expenditure and carbon footprint of the industry is through legalization and decriminalization. Legalization would allow for controlled energy costs, enforce energy limits and reward efficient growers. What many may view only as a downfall of the industry should instead be perceived as an excellent opportunity for advancement in environmental practices. The cannabis industry and legislators both have a unique opportunity to turn the industry into a cutting-edge, environmentally friendly one and lead other sectors by example concerning improvement and long-term sustainability.